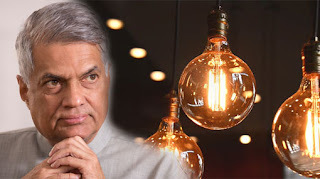 A five-member Ministerial Committee headed by Prime Minister Ranil Wickremesinghe has been appointed to resolve the existing power crisis. Minister of Finance Mangala Samaraweera, Minister of Power, Energy and Business Development Ravi Karunanayake, Minister of Highways & Road Development and Petroleum Resources Development Kabir Hashim and Minister of Ports and Shipping and Southern Development Sagala Ratnayaka have been appointed as the other members of the committee. The committee was appointed to present recommendations on the short-term, mid-term and long-term measures on resolving the crisis. The Cabinet of Ministers has approved the proposal presented by Minister Ravi Karunanayake in this regard.